Mușat & Asociații – Restructuring & Insolvency stands for the highest professional reputation and standards in the market. Our team comprises highly experienced lawyers, insolvency practitioners, tax advisers and other consultants, and benefits of more than 27 years of expertise of Mușat & Asociații legal and tax arms. We deliver prime services either as insolvency practitioners, while being appointed as judicial administrator, liquidator or conciliator of the debtors, or as lawyers, to the most beneficial outcome for our clients. Over the years, our restructuring and insolvency team has successfully guided clients through complex and extensive restructuring, insolvency or liquidation procedures with the utmost diligence and professionalism. Our core restructuring and insolvency team includes highly qualified insolvency practitioners, lawyers, tax advisers and other consultants. Apart of our core team, we are one of a few Romanian firms to provide our clients with integrated services on restructuring and insolvency matters, drawing from the experience of our other departments and from our collaborations with elite practitioners in other jurisdictions. Mihai is a long standing partner within Mușat & Asociații and the Head of our Restructuring & Insolvency practice. He has built an extensive professional expertise as business lawyer and insolvency practitioner. He joined Musat & Asociatii in 2005 and gathered a remarkable expertise in the Insolvency industry and has gained vast knowledge in dealing with all types of restructuring and insolvency procedure from complex administrations to extensive bankruptcies. He assisted clients throughout all the steps of reorganization and insolvency, including judicial and voluntary reorganization, pre–insolvency proceedings, bankruptcy and liquidation, asset recovery and/or negotiations with debtors and creditors. 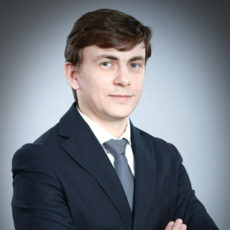 He is a thoughtful strategist and manages complex litigation files in the insolvency field, including recovery of receivables, cancellation of fraudulent acts, challenging the measures ordered by judicial receivers, successfully handling assignments entrusted by clients in a wide range of sectors, such as energy, constructions, pharma, retail or financial. 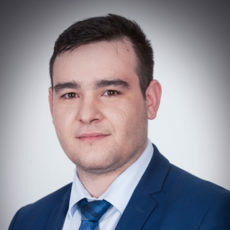 Mihai’s extensive professional background and knowledge allows him to provide excellent advice to our clients, and ensure the smooth and confidential management of their affairs. 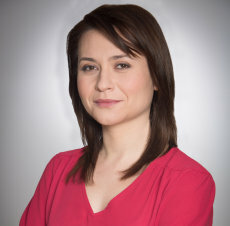 Mona is the founder of the Insolvency Practice within Mușat & Asociații, building an impressive practice in restructuring and insolvency with a focus on restructuring strategy, liabilities under insolvency procedures and debt recovery proceedings. 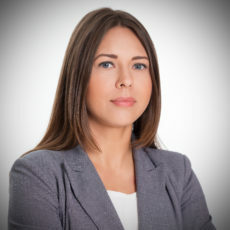 Her expertise benefits from her dual qualification as business lawyer and insolvency practitioner, in which capacity she has acted as judicial administrator and liquidator for companies subject to the insolvency procedure and represented a large portfolio of clients, advising them in a wide range of insolvency and restructuring matters, including providing comprehensive advice and assistance related to all aspects and stages of the insolvency procedure, voluntary dissolution and liquidation procedures, debts recovery, liability claims as well as procedures for prevention of insolvency. Mona also advises clients regarding banking and finance law, real estate law, as well as on general corporate and commercial legal matters. 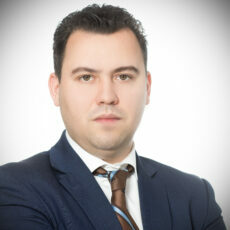 Răzvan has an extensive experience in dealing with the whole range of restructuring and insolvency matters. 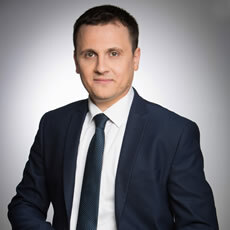 Răzvan developed a broad expertise in complex transactions and has advised various national and international clients during the insolvency procedure, analyzing business viability and recovering plans, negotiating with debtors and providing assistance on complex restructuring projects conducted with institutional lenders and other secured and unsecured creditors. 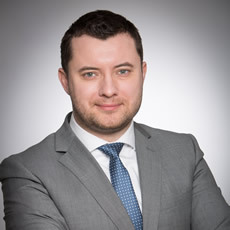 Răzvan is also known for his expertise in mergers & acquisitions and banking & finance and, in particular, for his capacity of analysis and innovative solutions in structuring such transactions. Iuliana is a highly regarded lawyer and insolvency practitioner among our clients for her strong ability to overcome difficult problems in complex cases she handles. Her experience ranges across all the key industries sectors – energy, infrastructure, real estate, healthcare, etc. Also, Iuliana manages complex insolvency administrations, including cross-border insolvencies, complex contentious matters, as well as informal restructuring, security enforcement and banking litigation, being involved in all stages of the transactions. With more than 10 years experience as a lawyer and insolvency practitioner, Dana has built a reputation of providing top client services in insolvency proceedings. She successfully covers a wide range of cases assisting and representing clients in insolvency proceedings, assessment of the legal feasibility of reorganization plans, analysis of the transfers and agreements concluded before the opening of the insolvency procedures, as well as claims for termination of fraudulent acts and triggering the responsibility of the former management for the insolvency state of the debtor. Andrei is a resourceful lawyer and insolvency practitioner, who acts for public and private entities, banks and other creditors. He is known for his detailed approach in difficult cases, his work including deals with insurance insolvency, infrastructure projects, transport, construction and technology. He also provides assistance and representation in the field of foreclosure proceedings, commercial and civil litigations and disputes, as well as debt recovery. Over the past 10 years within Mușat & Asociații, Cristinel was very appreciated for his analytical and critical thinking approach as an economist. His wide experience as insolvency practitioner includes assisting and advising clients in all stages of reorganization and insolvency, reorganization and voluntary procedures for pre-insolvency, bankruptcy and liquidation, recovery of claims and negotiations with debtors and creditors. He was involved in difficult cases, successfully representing the firm’s clients. Diana provides special advisory services and representation in foreclosure proceedings, commercial and civil litigations and disputes. Diana has achieved remarkable results in high importance projects that included the investigation and management companies in insolvency, reorganization and bankruptcy of whose business is mainly in the pharmaceutical industry, real estate, energy, transport and construction. She also provided special advisory services and representation in foreclosure proceedings, commercial and civil litigations and disputes. Roxana was involved, over the past 7 years, in numerous cases and insolvency projects, restructuring and bankruptcy matters, as well as enforcement and special debt recovery procedures. 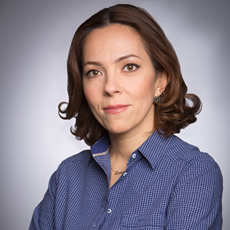 As an attorney, she has assisted and represented important national and international companies, in civil and commercial cases, in front of legal courts of all levels, ranging from ordinary court to the High Court of Cassation and Justice. As an insolvency practitioner, Roxana has managed complex insolvency procedures, voluntary liquidation of companies and liquidation of non-profit organizations. 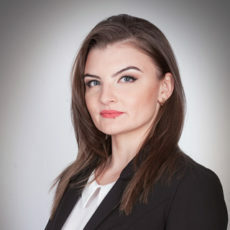 Based on her extensive professional experience, she has attended, as speaker, various courses organized by the National Union of Insolvency Practitioners of Romania. Ionut provides specialized assistance in high importance projects that include insolvency proceedings, settlement opportunities and threatened bankruptcy. Operating in the economic field since his college, he has gained notable experience which helped him to successfully understand complex insolvency proceedings. His expertise focuses on banking, pharmaceutical industry, real estate, energy, transport and construction. Acting as liquidator of the largest Romanian electricity producer, during its voluntary winding-up and bankruptcy. Our mandate covers all steps and operations of the liquidation process, including the drawing up the assets realization strategy and plan, performing the legal due diligence over the assets and addressing on-going concerns pertaining to the company and recovery of debts. Representing a major German railway company, in the insolvency proceeding initiated against three local railway manufacturers aiming to recover important commercial debts. Acting as judicial administrator and liquidator of one of the largest local companies in the construction sector. The total amount of receivables requested by creditors during the case amounts to roughly EUR 100,000,000. Assisting a leading European energy distributor in the successful restructuring of its Romanian subsidiaries in an unbundling process of its supply and distribution divisions in Romania. Acting as judicial administrator of a major local company active in the field of electrical network maintenance, in view of identifying and implementing a major reorganization process required for optimizing the core activity of the company, the personnel structure and the receivables collection. Assisting a leading real estate investment group during the insolvency procedures initiated against debtors, arisen from the infringement of a FIDIC construction agreement, with aggregate claims of approx. EUR 21.000.000. Advising a Dutch multinational company, specialized in financial and banking services, within the insolvency procedure of one of the largest State-owned companies in the chemical industry, aiming to recover important commercial debts. Acting as judicial administrator of a major local service provider in hospitality industry. Our mandate covers all steps of the restructuring process, which includes designing the reorganization strategy, preparing the Reorganization Plan and supervising the implementation process. Representing the Romanian subsidiary of the largest French pharmaceuticals producer, within the insolvency procedure of a major Romanian pharmaceutical distributor. Our mandate includes drafting the statements of receivables, representation before the syndic judge and in the creditors’ assemblies, drafting and defending challenges regarding the registration of receivables in the list of debts, the aggregated receivables requested by all creditors amounting to approximately EUR 63,000,000. Advising a leading French company acting in the field of fire safety, in relation to the insolvency procedure of the main manufacturer on the Romanian electronic security system market, as well as in the OEM system production in connection with the recovery of significant commercial debts and the reposition of equipment granted to the debtor. Advising a global leader in the supply of aftermarket aircraft, engines, OEM material and asset management services – in relation to the recovery of an approximately EUR 4,500,000 commercial debt against an insolvent major low-cost airline carrier with operations in Romania. Assisting the leading global manufacturer of audio, video, communications and information technology, with regard to restructuring its activities in Romania following the merger between two of its subsidiaries. Advising a subsidiary of world well known important retailer, involved in the Romanian market since 2005. The mandate includes legal assistance and representation within the insolvency procedure of an important entrepreneurship and project management company in construction and installation aiming to recovering significant secured receivables. Representing a major Swiss player in the financial industry, in connection to the recovery of million euros receivable from a Romanian insolvent company producing heat energy and electricity. Advising one of the largest global companies acting in the steel industry throughout the insolvency proceedings declared against several of its significant commercial debtors in connection with the recovery of multimillion euro secured and unsecured receivables. Representing a leading Swedish company, provider of navigation systems and integrated bridge solutions, recognized training and simulation solutions, renowned VTMS and coastal surveillance systems within the insolvency procedure initiated against one of Romania’s largest companies in the soft, development and maintenance sector, aiming to recover important commercial debts. Advising a leading closed joint stock company registered in the Kingdom of Bahrain, during the bankruptcy proceedings of two local important insurance companies in connection with the recovery of significant debts. Assisting the local subsidiary of a global important company specialized in developing, building, leasing out, and managing large commercial properties in the business areas during the insolvency/bankruptcy proceedings its local partners pursuing to recovery important debts. Our mandate includes drafting the statements of receivables, representation before the syndic judge and in the creditors’ assemblies, drafting and defending challenges regarding the registration of receivables in the list of debts. Advising a well reputed local bank on ways to preserve and ensure the priority of bank’s receivables in the insolvency procedure of an important supplier of conductors and wiring for the Romanian industry and exporter for European markets. The advice touches on complex issues of law arising from interferences between insolvency regulations and regulations on security interests and prevalence of the same. Assisting a leading Romanian IT company throughout its insolvency procedure, aiming to restructure the company’s activity and optimize its core activity. Assisting a global healthcare, pharmaceutical and medical devices company in the insolvency proceedings initiated against two Romanian healthcare medical services companies in relation to the recovery of important outstanding commercial debts and repossession of leased medical equipment. Representing a leading European player in the construction sector in matters pertaining to insolvency procedure filed against the client. Our mandate involves the proof of the company’s solvency state and the dismissal of the plaintiffs’ claims as ungrounded. Representing a major a water supply services provider controlled by a local territorial authority – in relation to the recovery of a commercial debt exceeding EUR 4,000,000 during the insolvency procedure against its debtor and guarantor, both well-known Romanian infrastructure contractors. Representing the local subsidiary of the world’s leading healthcare groups, during the insolvency procedure initiated against a major Romanian distributor of pharmaceutical products and two local pharmaceuticals store chains, for the recovery of multimillion euro commercial debts. Advising an Italian based multinational company active in the field of waste water collection, treatment and disposal against its Romanian partner, during the insolvency procedure, following a multimillion commercial litigation. Representing one of Romania’s largest construction companies, in matters pertaining to insolvency procedure filed against the client. Our mandate involves the proof the company’s solvency state and the dismissal of the plaintiffs’ claims as ungrounded.